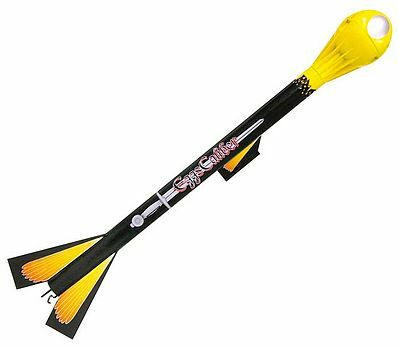 Designed for ''E'' through ''G'' composite hobby rocket motors. Capable of flights over 3000 feet. Precision crafted fins. Fin-Lok fin mounting system. Integrated load distribution structure. Sturdy pre-slotted body tube. Adapters permit use of various size and type Aerotech motors. Motor retention system for quick and easy motor change. UP Aerospace, Inc. is the world's only operational, private-space launch company. The Up Aerospace SpaceLoft Bulk Pack is an almost exact replacement for the #1750 Gnome (ESTT1750). 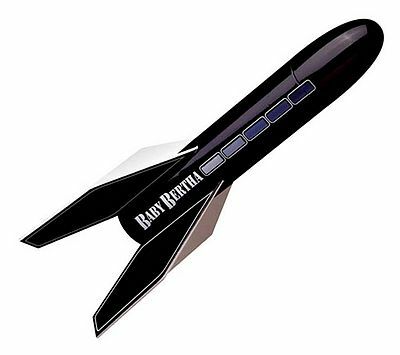 This educator pack is designed for classroom learning, and comes complete with almost-ready-to-fly model rockets and accessories, including presure-sensative decals. 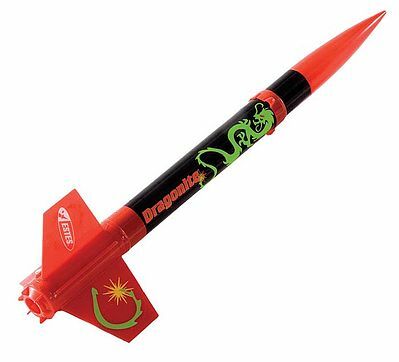 Generic Flying Model Rockets are 15 inches. Easy to build, almost ready-to-fly. Collection of twelve rockets for educators. Altitude range: 1100 feet (335 meters). Choice of two vibrant decal sheets for all twelve rockets. Each rocket also contains instructions and warranty notifications. Unassembled parachutes included with rockets. 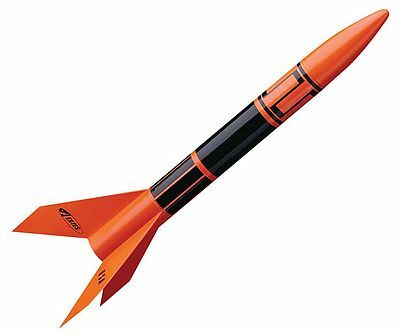 The Firestreak SST rocket also available individually (ESTT0806) Flies 350 feet in the air on mini engine power Purple metallic plastic body tube and nose tapered cone Purple metallic plastic fins (two are with Orange flame print) Fluorescent Orange streamer recovery BONUS: Includes Estes Rocket Labs DVD. A miniature version of one of the most popular kits of all time, the Big Bertha. What's the breaking point when you launch a raw egg over 600 feet high? Find out when you use an Estes. Snap-together assembly! A standard size model rocket that can fly 1,100 feet high on standard Estes. A perfect beginner's rocket. Almost ready to fly! Brightly molded one-piece orange plastic fin unit and nose cone. Black cardboard body tube. Capability of flying over 1100 feet (335 meters), depending on the engine you select. Parachute recovery. Fly again and again! Bright self-adhesive decorative decals. © Hobbylinc.com. All rights reserved. Images and Descriptions are representative only, actual items may vary. Prices subject to change without notice. Hobbylinc maintains no responsibility for inadvertent errors. 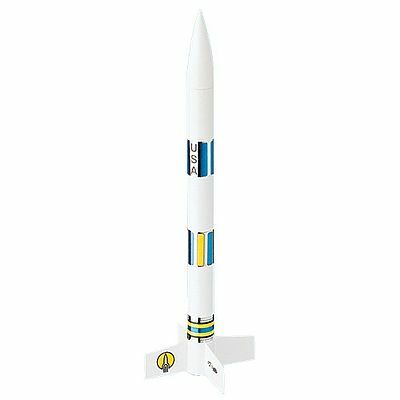 hobbylinc.com is a full line hobby shop which carries model rockets, rocket kits, model rocket kits, and much more.